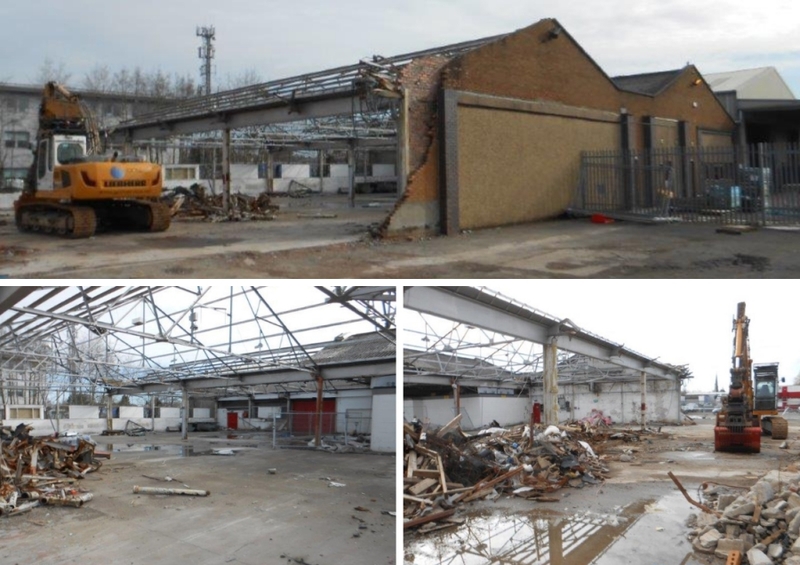 Maxi Construction have commenced demolition works for the redevelopment of Bellshill depot. The existing warehouse and traffic office are being demolished to allow for a new 12000ft² steel framed warehouse which will provide office space, mess, welfare and meeting rooms. Externally there will be increased secure parking and the weighbridge will be refurbished and calibrated for use. The original Bellshill Block 3 Warehouse was constructed in 1968 and became home to Maxi Haulage in 1995. The warehouse was first extended to add a 5000ft² Transit Facility together with a traffic office in 2001. With the development of the facility having been considered over a number of years an agreed design solution was reached in the Summer of 2018. Temporary office facilities have been established for the Depot staff to avoid any disruption. Further Warehousing remains at Block 2 where there is 10000ft² of space.